Illegal Immigration Gives Cities Political Power - Integration Through Media ....! Here’s why the Left is so upset about that new census question. he Commerce Department has announced that a question will be added to the 2020 Census asking about respondents’ citizenship status. Democrats have responded with fury, and twelve states, led by California, will be suing to stop the change. While their argument is that the question will discourage illegal immigrants from participating in the survey, there is another, related reason why the urban elites who now dominate the Democratic party are afraid of this simple question. With this question, the 2020 Census will better quantify the extent to which immigration, including illegal immigration, gives Democrats disproportionate political power — despite the fact that immigrants themselves are not allowed to vote. This happens because seats in the House, and consequently Electoral College votes as well, are given out based on the total number of people residing in a state. California illustrates the problem. While the Census Bureau stopped asking about citizenship on the main Census form in 1960, it has continued to ask about it in other surveys. One of these, the American Community Survey, shows that the non-citizen proportion of the population in the states varies widely, ranging from 14 percent in California to less than 1 percent in West Virginia. Based on these estimates, California, the first sanctuary state, has five or six more members of the House than it would if House seats were based on citizen population alone. No wonder California fears and opposes the citizenship question. What could happen if Americans in other states start asking why California should get more members of Congress and electoral votes by defying the nation’s immigration laws? Immigration has a profound effect on politics at the intra-state level as well. As between states, non-citizen immigrant populations are unevenly dispersed within states. They generally concentrate in urban areas, where they distort the apportionment of state legislatures and congressional seats even more than nationally. In my new book Fifty States, Not Six, I show how New York City has at least ten more seats in the 150-member assembly (the lower house of the New York State legislature) than it would if apportionment were based on the citizen population. In Illinois, Cook County (Chicago) has at least one extra seat in the U. S. House of Representatives based on counting its large non-citizen population. This pattern is found across the nation. So, who benefits from these extra seats in the House of Representatives and state legislatures? It is not the non-citizen immigrants, who at least in theory are not allowed to vote. Instead, the votes for these extra seats go to the citizen residents of these urban areas. In Fifty States, Not Six I calculated that, owing to the presence of his non-citizen neighbors, a resident of New York City had 15 percent more voting power than did a New York State resident from outside the city. California’s non-citizen residents give California voters (mostly Democrats) about 11 percent more voting power than Americans in states with smaller immigrant populations have. 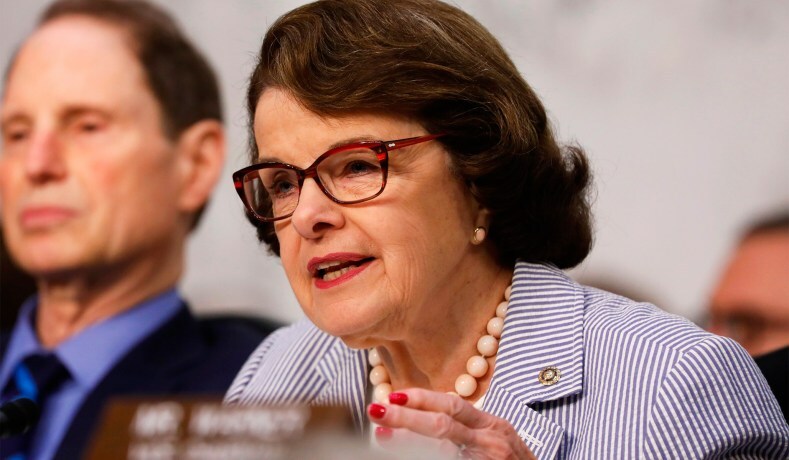 So when Democrats like California senator Dianne Feinstein claim that the Census question will “disenfranchise millions of California voters,” she is, of course, ignoring the comparative disenfranchisement of hundreds of millions of Americans in non-sanctuary states that respect the immigration laws. This is not the first time citizens have had unequal voting power. At the beginning, the Constitution provided that slaves were counted as three-fifths of a person in apportioning the House of Representatives. Slave states wanted slaves to be counted fully, even though slaves of course could not vote; these states argued that the votes of slave owners represented the interests of slaves. A similar argument was deployed against women’s suffrage: Husbands and fathers would represent the interest of their womenfolk at the ballot box. How long will it be before elite urban Democrats start justifying their extra voting power by arguing that their leftist policies represent the interests of their poor non-citizen neighbors? When Democrats were raging against the Electoral College for putting Donald Trump in the White House, one of the institution’s darkest marks was its use to implement the three-fifths rule. But basing apportionment on gross population is deeply rooted in the three-fifths rule as well. The comprehensive information the Census will now provide will make it feasible to apportion on the basis of the citizen population rather than the gross population. Unfortunately, a constitutional amendment may be needed to correct this imbalance on the federal level. (Such an amendment is proposed in Fifty States, Not Six.) On the other hand, states arguably could apportion their legislatures based on citizen rather than gross population, and with the 2020 Census they will now have the data to do that. In addition to the simple issue of fairness, such a move could resolve a serious political problem plaguing many of our states. Within many states, politically competitive rural and suburban areas are dominated by overwhelmingly Democratic urban areas. These tensions exist between inland and coastal California, and in states across the country including Oregon, Washington, Illinois, Pennsylvania, New York, and Florida. This has raised campaigns to split up states and created enormous political frustrations. Glenn Reynolds has proposed various constitutionally difficult ways of establishing a less unequal political balance within these states, short of secession. However, simply apportioning state legislatures on the basis of citizen rather than gross population might give suburban and rural areas enough sway to address their concerns. One of the most fundamental questions for any representative democracy is how the representatives are selected. In our era of historically high immigration, the introduction of the citizenship questions on the Census should begin a much-needed debate about whether our country will be governed equally by all of its citizens. The Easter Sunday bombings in Sri Lanka rank among the deadliest terrorist attacks in modern history, and underscore the metastasizing scourge of Islamist violence in..